Beautiful apricots are now ripe and sweet across Australia. 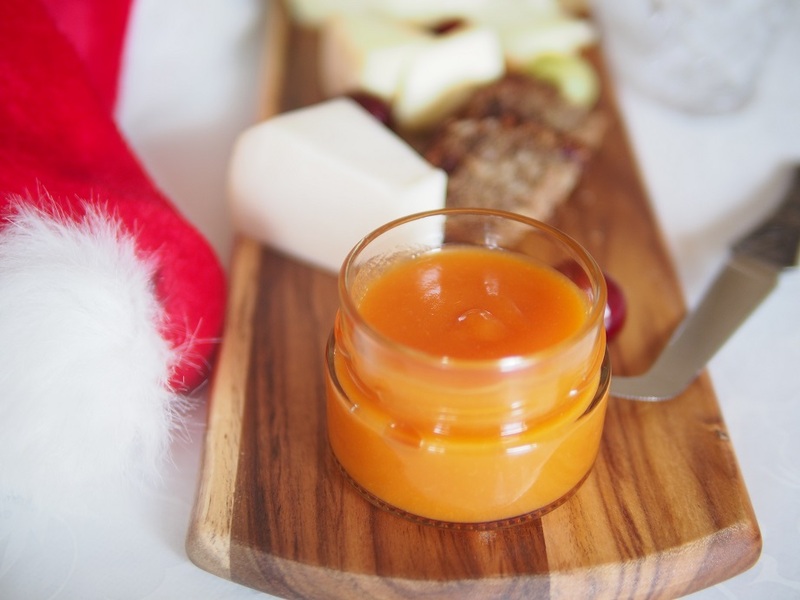 This simple delicious addition to your cheese board is full of Christmas spirit. This paste is prepared with raw apricots and takes only 10 minutes. * Fine mesh sifter drum, silicone spatula, 170ml wide jar. 1. Peel apricots and remove the seeds. With back of your fingers gently press the apricots into the sifter and move in circles until only apricot’s skin is left under your fingers. 2. Dissolve agar in cold wine and heat the cup with wine in microwave for 30 seconds, then after every 5 seconds check the wine. It should thicken but not boil. 3. Pour the hot mixture into the apricot mash and quickly mix with the long spoon and spatula to make a consistent paste. Transfer the paste into a jar. Refrigerate before serving with cheese and crackers.